Even though the Outback covers the vast majority of Australia, the region is home to only ten percent of Australia’s population. 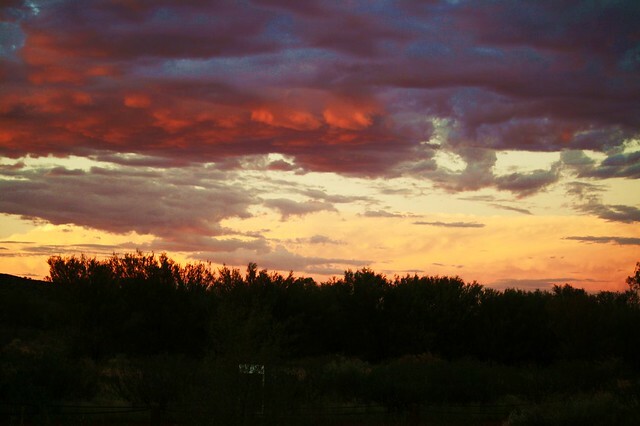 The Outback is a place of mystery and wonder covering two and a half million square miles. Travelers on a short trip to Australia can flirt easily with its edges by taking a trip to such landmarks as the Living Desert Flora and Fauna Sanctuary and Sculptures Site. If you have more time and the inclination to do so, you can go deep into the Outback on a tour or independently. Make friends with locals or local guides to see the best-hidden places, learn about the flora and fauna around you, and taste some delicious Australian cooking. Pack your backpack with plenty of water, some extra food, and plenty of sunscreen, put on your best hiking boots, and head into the Outback to see a landscape like none other. 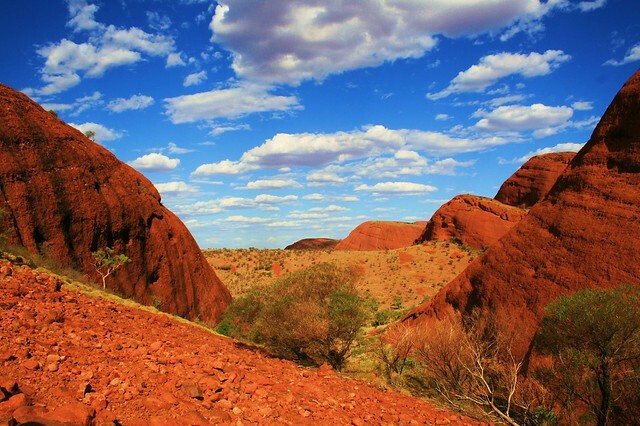 If you tell someone you’re heading into the Australian Outback, they’re automatically impressed. Why? Because the Outback is the remotest region of Australia and is known for it’s arid climate, venomous spiders, and exotic wildlife. Whether you’re beating your own path through the desert and camping along the way, bumping along a dirt road in a caravan with a guide, or tasting the edge of the Outback from one of the less-remote mining towns, you’re sure to find adventure here. But if just a touch of adventure isn’t enough for you, head to the Never-Never — the remotest portion of the remote Outback – well off the beaten path even for Australians. It’s out here that you’ll find angry red meat ants, hike for days without seeing anyone else, and spot endangered wildlife if you’re quiet and observant. When you’re in the Outback, you can’t escape nature. The Australian Outback defines rural. While bumping along dirt roads or hiking in the dry, open air, you might spot such animals as emu, kangaroo, and dingo. Red rock, green scrub brush, and blue skies color the vast expanses of flat land broken only by the occasional mesa as you explore the territory between towns. The Outback is also a draw for natural history lovers as fossil sites abound. Head to Riversleigh to check out limestone fossils of over thirty bat species as well as giant platypus and crocodiles. You can even follow the evolution of koalas through fossils from different periods.